In 2019, will the poplar follow the same trend that has prevailed over the past three years? The answer is undoubtedly positive if one examines the factors favorable to the wood species that has faced two difficult decades. In fact, since the 1990s poplar planting rate has only declined in France. If back then it reached 12,000 hectares/year, now it comes up to about 4,000 hectares. For its part, the poplar harvesting volume followed the same decreasing curve: 2.6 million m3 were harvested back in 1994, while today barely 1.4 million m3. The stagnation of poplar consumption, resulting in the disappearance of small local sawing and peeling enterprises, explains a phenomenon that has lasted for a long time. Other factors also contributed to the poplar market decline: pressure from environmentalists, fewer rural landowners and a growing urban population, competition from agriculture, climate change, beetle infestations ... And as the value of poplar had been only falling, potential investors lost interest. However, the poplar sector seems to have found a new lease of life. The market is turning away from imported tropical timber for the benefit of indigenous species, while wooden packaging is enjoying a boom. In addition, the new manufacturing technologies now offer more sales outlets for a wood species that is considered light and easy to industrialize (plywood that is fireproof, rotproof, insulating...). Charred wood (outdoor use) and structural lumber offer an interesting opportunity for poplar in the building sector. These interesting market developments have not escaped the attention of some industrial investors. This is the case of two French plywood specialists — the Thébault group and the Drouin company — who together created Bois Déroulés de Champagne. The new plant commissioned in Aube has just started its planned production of up to 30,000 m3 of veneer per year from 75,000 m3 of poplar. At the same time, the Spanish Garnica announced a major project in the same region. After having launched in 2010 a unit that processes 300,000 m3 of poplar in Lot-et-Garonne (145,000 m3 of veneer as the end product), Garnica will invest another 40 million euros in the construction of a new factory in Troyes (Aube). Ultimately, the investment should reach 80 million euros in 2025 when the site will also consume 300,000 m3 of poplar per year. All these investments — including others in Spain and Italy — drive the need for raw materials, the wood supply is insufficient. Despite the recent increase in poplar planting — partially caused by the Thank You Poplar Charter (Merci Le Peuplier) — and the poplar harvesting volume growth (+ 25% since 2014), wood is lacking. And, according to the National Poplar Council, France will still suffer a deficit of 500,000 m3 of poplar in 2025. As a result, the combination of increasing demand and insufficient supply leads to a significant rise of standing poplar prices (see Tables 1 and 2). 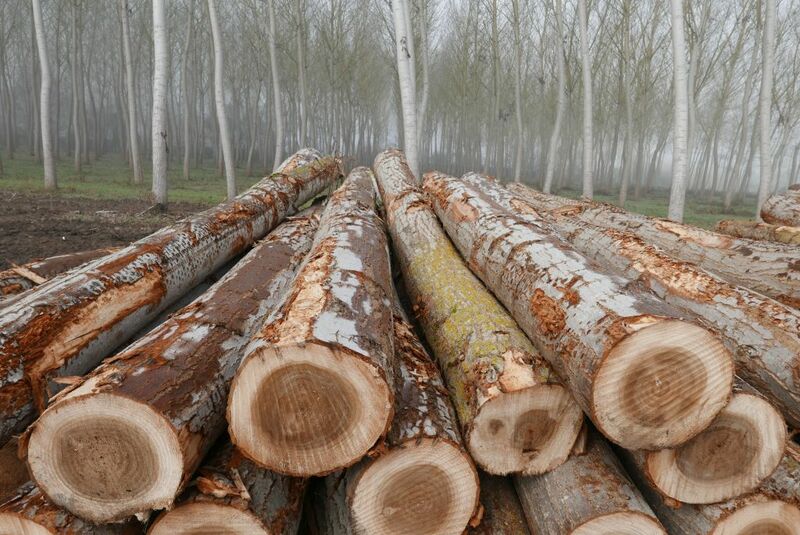 "For the last three years, we have been observing a significant decrease of a share of unsold poplar and a clear price increase," confirms Bernard Mourlan, the President of the French Poplar Association Chambre du Peuplier. And in 2019, other economic conditions being equal, professionals see no reason why this price increase may stop.